Whilst starting on my new lifestyle I've found loads of things which are good for my wellbeing, handy for meal prep, or just downright delicious! I thought I'd do a monthly round-up of new discoveries, to share and hopefully inspire you too. I know I like discovering new products and I hope you do too. I've even thrown in something I tried and didn't like this month too. The food will mostly be vegan, vegetarian or plant based, and any beauty and cleaning items will be cruelty free. This has been a godsend to me, my little hand spiralizer is ok but when I'm spiralizing for a salad, I need something more heavy duty like this. Although I'm mostly dairy free and plant based now, i do still eat honey, I drink this tea daily now since I've stopped having regular tea with milk. The lemon and ginger is really strong and the kick of honey adds just the amount of sweetness not to need any sugar. I really love having a wax melt on the warmer especially when the house is nice and clean and tidy, it helps with my wellbeing and general anxiety. There's so much in the media about the effectiveness of these and whether they can actually cleanse the air of negative ions when they are this size. It's completely riven that larger lamps can cleanse the air but I think the jury is still out on these smaller ones. Nevertheless it's still one of my favourite things. The gentle glow is so relaxing and the colour is beautiful, so even if that's all it does, I'm happy! I find calming all of my senses helps tremendously with managing my anxiety, making sure I always have the diffuser on in our bedroom with an essential oil mix, really helps me relax, unwind and meditate before bed. Oh my gosh, considering I eat avocados at least once a week, I cannot believe that I'd never tried this before, so I have it a go last week and it was the MOST amazing thing ever! Here's my recipe. 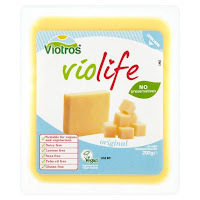 Cheese has been one of the most difficult swaps for me on my dairy free journey, I've tried so many different types of dairy free cheese, and they were all vile until I found Violife! Even T and The Hubs eat this one, it's just a shame it's so much more expensive than regular cheese! These bars are absolutely divine, I keep these at work to have in meetings when everyone else is tucking into cakes and biscuits. 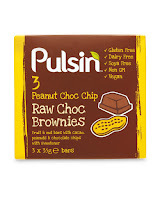 I'm yet to get T or The Hubs to try them, but that just means there's even more for me! And one thing I'm not loving at all this month! So I had this crazy idea to try a mooncup each month instead of using more 'conventional sanitary products. Well without going into too much information, I just couldn't get on with it, I don't know, I might try again next month but sadly I don't think that these are for me! What are you loving this month? Let me know on comments so I can discover some more new things!